Police searching after man fled with 15-year-old girl possibly to Charleston SC | Crime Stoppers of the Lowcountry: 554-1111 | 1-888-CRIME-SC | Anonymous tips earn cash rewards with Crime Stoppers of the Lowcountry. HORRY COUNTY, SC (WMBF) – Police say a 24-year-old man fled the area with a 15-year-old girl who was last seen Sunday, and the two may now be in the Charleston area. On Monday, May 2, officers were alerted that 15-year-old Jessica Calles was not at school as expected, and had run away with 24-year-old Javier Robles Ramirez, according to an Horry County Police report. In the past, Ramirez pretended to be Calles’ uncle and signed her out of school. However, in this instance, Calles did not show up to school on Monday, and was last seen on Sunday at 5 a.m., according to the incident report. 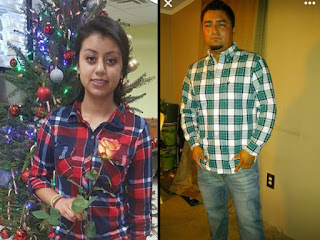 It is believed Calles and Ramirez fled together, and they may be in the Charleston area in a red BMW vehicle. Detectives obtained warrants charging Ramirez with criminal sexual conduct and contributing to the delinquency of a minor. Calles is described by police as 5-feet-1-inch tall, 110 pounds in weight, with black hair and brown eyes. Ramirez is described as 5-feet-5-inches tall, 155 pounds in weight, with dark hair. Anyone with information on their whereabouts is asked to contact law enforcement or leave a tip on the HCPD Tip Line at 843-915-8477.